Matt and Kim‘s Lightning came out last week via The FADER label and the band is already hard at work on the road promoting their new record. They kicked off their tour in the Northeast, tiptoeing around NYC, but not actually playing here. After criss-crossing the country, they’ll be back in NYC on Nov 15 to play Terminal 5 (Buy Tickets), then they’ll close out the tour (well, the first leg anyway) two nights later at The Wellmont Theater in Montclair, NJ. 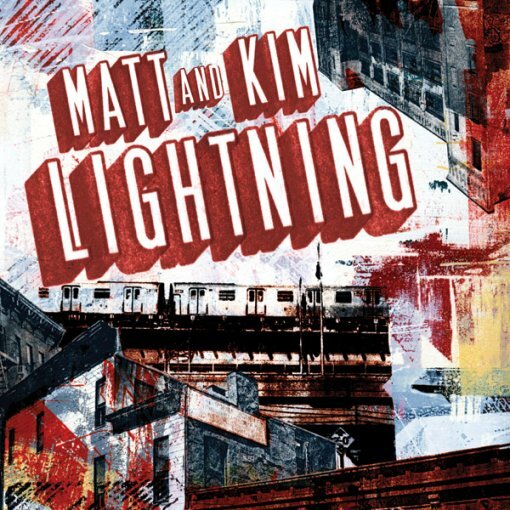 More Matt and Kim tour dates and a YouTube stream of Lightning, featuring 8 brand-new, animated lyric videos for every track on the album after the jump.